Known as home to the ancient city of Carthage, Tunisia continues to benefit from one of the strongest housing markets in North Africa. Tunisia's tourist-driven property market stands out in the region and has attracted a great number of foreign buyers looking for affordable properties in prime locations to spend their holidays. It is amazing to think that it was only in 2006 that the real estate market was opened to foreign ownership. Tunisia hosts millions of tourists from Europe and the Middle East. 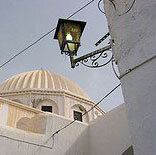 The capital city, Tunis, is approximately 3 hours away from key European cities like London and Paris via airplane. The coast is just 50 miles away from Sicily. Interest in Tunisian real estate remains high despite post-Arab Spring uncertainties. According to Centre for Affordable Housing Finance in Africa (CAHF), property prices have been increasing since 1990, and have continued to rise following the Arab Spring revolution, set off by the ouster of the country's president in January 2011. Investors, in particular, remain optimistic. In 2015 (Tunisia's statistics are rather lagging) a total of €36.5 million ($48.6 million) was invested in Tunisia's real estate and tourism sectors - accounting for 4.5% of the total investment in the country, according to the Foreign Investments Promotion Agency in Tunisia (FIPA). The Emirates' Bukhatir Group's Tunis Sports City Complex is one of the largest real estate development projects in the pipeline. It was started in 2006 but was paused in 2012, with 15% of the construction almost complete. It will eventually house 30,000 people on the northern edge of the Lac de Tunis, with a number of sporting venues including a 10,000-seater outdoor stadium and a 5,000-seater indoor stadium. Bassam Neifer, an analyst at the Tunisia-based equity market research firm AlphaMena is positive that the industry's fortunes will improve as it moves from its current construction-dominated phase into a sales-oriented phase. "The year 2015 was a difficult one for the sector; however, revenues could rise in 2017 as projects under construction begin to come on stream." In the first quarter of 2016, jobs in the construction and settlements sector totalled around 459,800 - representing 13.5% of total employment. "More open legislation that allows property purchase by foreigners, and the removal of any need for purchase permission in tourist areas, is also likely to spur investment interest in the property market, particularly as confidence in the Tunisian economy returns," according to CAHF. 3% of state revenues come from taxes collected from rental and property management, VAT generated by construction, and local land taxes. The rental market in Tunisia is very strong due to the high domestic demand for rental accommodation in addition to the demand from Europe and Tunisia’s neighbours Algeria and Libya. According to UN-HABITAT, housing unit rents in Tunis range from TD 288 (USD 150.1) to TD 4,490 (USD 2,339.6) per month. The lowest rents are found in Ben Arous district, ranging from TD 190 (USD 99) to TD 1,250 (USD 651.3) per month. Presumably rents in other low-income areas outside the Tunis region are less, say in the TD 110 (USD 57.3) to 160 (USD 83.4) per month range. Knight Frank estimates residential yields in Tunis to be around 9%. Rental Income: Rental income is taxed at progressive rates, from 26% to 35%. A standard deduction of 30% is given to cover income-generating expenses leading to effective tax rates ranging from 19.50% to 26.20%. Capital Gains: Capital gains tax is levied at 15% if held for less than 5 years, and 10% if held for more than 5 years. Inheritance: Inheritance tax is levied at varying rates, depending on the relationship between the deceased and the heir. Spouses and direct descendants are taxed at 2.5%. Residents: Tunisian residents are taxed on worldwide income at progressive rates, from 15% to 35%. Roundtrip transaction costs are around 9.10%. The transfer tax is 5% while real estate agent’s commission is typically 3%. Various registration fees add up to around 1.10%. The buyer pays for all the costs. Rent: The rent can be freely negotiated. There is no legal maximum annual rent increase for free market tenancies, but any increase must be stipulated in the contract (typically, 5%). Tenant Eviction: At term, the lease may be renewed by tacit agreement for the same period, or ended, if a notice is given by either of the parties in advance through a bailiff or by registered mail. Once the notice is given, eviction is swift. The court system is highly efficient. Tunisia, the first Arab country to rebel against dictatorship, inspired similar revolts across other Arab countries - giving birth to what is now known as the Arab Spring Revolution. The 2011 a revolution ousted President Zine al-Abidine Ben Ali; and a new legislative body, the National Constituent Assembly, was elected to navigate Tunisia's political transition. In October 2014, for the first time since independence from France, Tunisia successfully held competitive parliamentary elections. The elections went smoothly, and the outcome has increased the likelihood of a stable, coherent government. Habib Essidof of the anti-Islamist Nidaa Tounes (Tunisia's Call) party, which won the most seats in October's parliamentary election, has been nominated as Tunisia's new prime minister. This was followed by the victory of the 87-year old Beji Caid Essebsi, also of Nidaa Tounes, in the November and December 2014 presidential elections. Mr Essebsi alos served in the governments of post-independence leader Habib Bourguiba as well as Ben Ali. The Islamist party Ennahda, which led Tunisia's last government but was beaten by Nidaa Tounes in October's parliamentary election, did not field a candidate. Essebsi's main opposition came from Moncef Marzouki, the interim president and a human rights campaigner who has cast himself as a guardian of the spirit of the revolution. After the instability and associated slowing economic growth, the country rebounded, adopting a new constitution in 2014. However, security risks remain as terrorist operations have been staged by jihadi groups affiliated with al-Qaeda such as Uqba Bin Nafi Battalion and others by groups pledging allegiance to the Islamic State. Since the terrorist attack of June 2015, there has been just one significant terror attack in Tunisia. But tourism, one of the biggest contributors to Tunisia’s economy, is taking a hit. Terrorist attacks have killed over 70 civilians including foreign tourists. Rating agency Fitch noted that “The collapse of tourism in the context of elevated security risks, slowdown in investment amid frequent government changes and episodes of strikes and social unrest have weakened economic growth performance and prospects.” The country has exerted efforts to revive the tourism industry. In fact, in 2016, 5.7 million foreign tourists visited Tunisia compared to the 5.3 million that was recorded in 2015. "We suffered last year from the terrorist attack," says Home in Tunisia's owner, Hamila. "But this year it is coming back, we had a lot of inquiries from Airbnb and the others. For the Easter holiday's we've had a lot of inquiries." But there is much left to do in the economic reform front, according to Mohamed El Kettani, chairman of Moroccan bank Attijariwafa. This is echoed by IMF mission chief to Tunisia Björn Rother, who states that “Tunisia’s economy has shown resilience but continues to face important fiscal, external, structural, and social challenges.” The public wage bill as a share of GDP is among the highest in the world, and the external current account deficit remains elevated, and public debt reached more than 60% of GDP in 2016. The IMF chief, however, expects that growth should pick up to 2.5% in 2017 from 1.3% in 2016, following the successful “Tunisia 2020” conference in November 2016, which attracted more than $8.2bn in funding and $6.5bn in agreed investment. The former includes €2.6bn in loans from the European Investment Bank, €3bn in loans from the French government spread over four years, $1.5bn from the Arab Fund for Economic and Social development and $1.25bn from the Qatari government. GDP grew by 0.8% in 2015 after rising 2.3% in 2014, the lowest since the 2011 economic slowdown. Unemployment in the third quarter of 2016 was 15.5%. Women’s unemployment is higher at 23.2%. According to Tunisia’s National Institute of Statistics, 267,700 graduates were unemployed in Q3 2016, an increase on Q4 2015, when there were 241,400 unemployed graduates. Tunisia has a history of effective inflation control and, despite some increases, the overall level of inflation has remained relatively stable. After peaking at 6.3% in February 2013, consumer price inflation fell to 5.5% in 2014, and to 4% in 2016, though it remains above levels seen before the revolution. The African Development Bank (AfDB) points to monetary factors and the Libyan crisis. The Libyan crisis has encouraged exports to Libya and contraband activities, causing basic food scarcities and pushing up prices in Tunisia. The dinar, whose exchange rate is controlled by the Central Bank, has depreciated in relation to the dollar and the euro. The dinar traded at 2.43 against the euro and 2.29 against the dollar in February 2017, according to central bank figures. This depreciation has generated inflationary pressures that could accelerate if Tunisian foreign reserves continue to dwindle and the balance of trade worsens. The current account deficit of 8.9% of GDP in 2016 was roughly unchanged from 2015 and reflected still low tourist inflows and declines in agriculture and energy exports, according to Fitch. The deficit is projected to widen to 9.3% of GDP by 2018, as a gradual recovery in tourism inflows will be offset by declining oil production and rising prices impacting imports.